Because everyone loves gnomes: ...right? 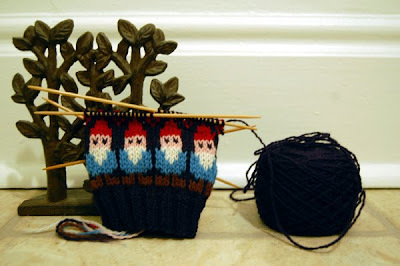 Gnome Mittens (Ravelled.) More info soon. February 27, 2010 at 10:36 p.m.
February 27, 2010 at 10:50 p.m.
February 27, 2010 at 11:01 p.m. I can't speak for everyone, but I sure love them!! February 27, 2010 at 11:19 p.m.
Sweet mother of pearl, those are wonderful! February 27, 2010 at 11:40 p.m. I love all of your stuff, but this one...wow...gonna be sweet! February 28, 2010 at 12:35 a.m.
February 28, 2010 at 1:30 a.m.
Lovely for children and adults who loves them. February 28, 2010 at 4:32 a.m.
February 28, 2010 at 7:41 a.m.
February 28, 2010 at 8:39 a.m.
You know, I love gnomes myself, and I thought everyone else did too, but apparently one of my coworkers is terrified of them. February 28, 2010 at 9:50 a.m.
Hm . . these are awesome. February 28, 2010 at 10:15 a.m.
Oh those are just great! Love them! February 28, 2010 at 12:52 p.m.
February 28, 2010 at 1:20 p.m.
Love those mittens. Can't wait to see them finished! March 1, 2010 at 7:24 p.m.
March 3, 2010 at 7:18 p.m.